At the Tech Summit, which took place in Maui on December 5th, OnePlus CEO Pete Lau announced a partnership with Qualcomm, to launch Snapdragon 855 processor-powered OnePlus 5G phone in Europe. Qualcomm has also partnered with carrier network EE to roll out its new 5G phone. Carl further added that OnePlus has been developing 5G devices as early as late 2016 and his team had already conducted a 5G test Qualcomm’s HQ in San Diego back in August. OnePlus is dashing against giants like Samsung and other Android smartphone manufacturers to churn out the first commercial 5G phone. OnePlus is known for delivering premium smartphones at half the cost of actual premium phones, but the 5G device will be a bit more costly. The primary example being the latest OnePlus 6T, which costs only $549 as compared to high-end devices from Samsung and Apple that ranges from $1000 and up. He also said that his company is working on both, the new 5G phone and existing 4G phones parallelly. When it comes to the Oneplus 5G phone, the price is expected to be set at $849. Will It Be OnePlus 7? OnePlus confirmed that their first 5G phone wouldn’t be called OnePlus 7, and rather than an expected follow-up device of OnePlus 6T. Interestingly, The new OnePlus would not be included in its existing family (the OnePlus 3T, 5, 6 and so on,) but instead will create its own chain of OnePlus 5G phones. The external structure of OnePlus 5G is expected to look a lot like its other 4G phones. However, a 5G antenna that uses the portion of wireless spectrum known as sub-6 will take place internally. The new Snapdragon 855 processor has a lot to offer. With its features like better camera quality that shoot videos in 4K HDR and detection of who and what’s in front of the camera, it will make Android phones soar in 2019. It's also the first to team up with Qualcomm 3D sonic sensor, an ultrasonic fingerprint reader, embedded in the display itself. Phones using Snapdragon 855 will be able to squeeze their photos, half the size of the ordinary JPEG without losing its quality. 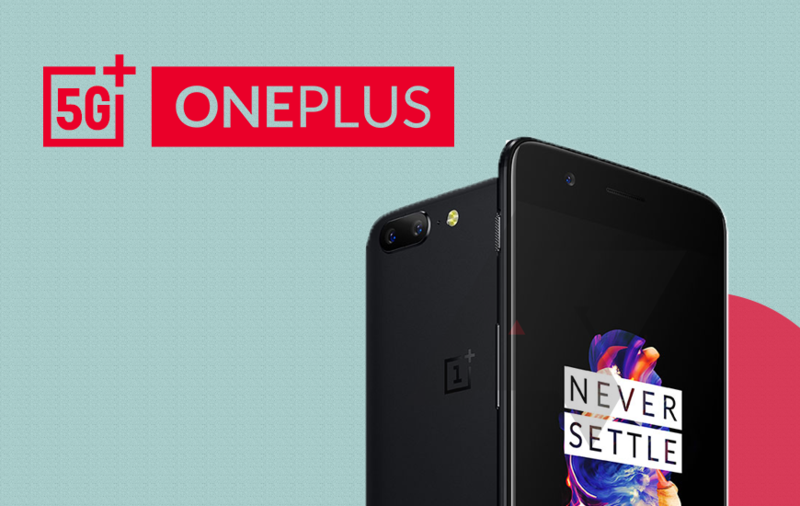 OnePlus 5G phone is expected to launch before June 2019 as stated by CEO Pete Lau. Meanwhile, the company is working on its McLaren branded OnePlus 6T. While Samsung is currently working on its 5G devices as well, Apple is also said to wait at least until 2020 to launch its first 5G phone. NEXT How Much Does It Cost To Develop An App Like Netflix?